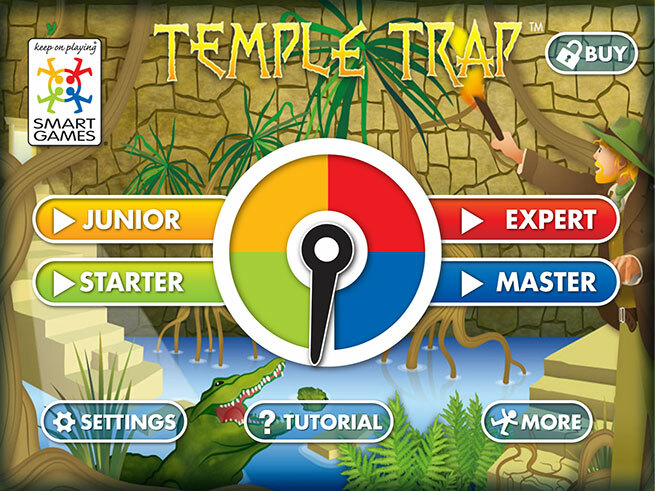 Out now: A new puzzling adventure by SmartGames : Temple Trap! Based on the award winning original puzzle game Temple Trap, SmartGames now presents the app version with 110 brand new challenges! 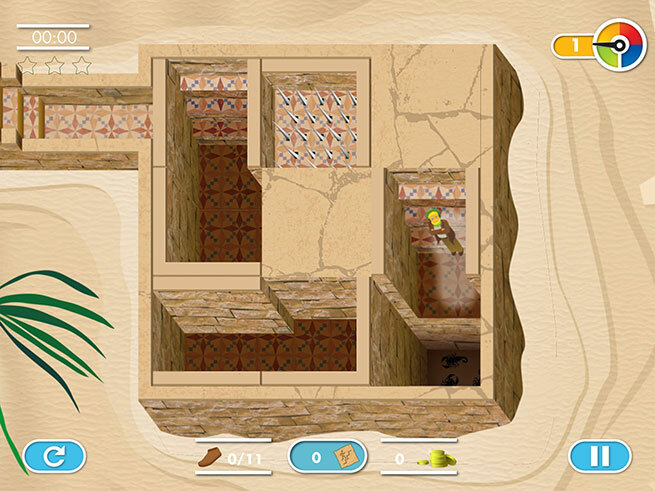 Arrange the walls and the stairs to create a path through the Temple...but in this maze the walls constantly shift! Only a smart adventurer can escape this cursed labyrinth! 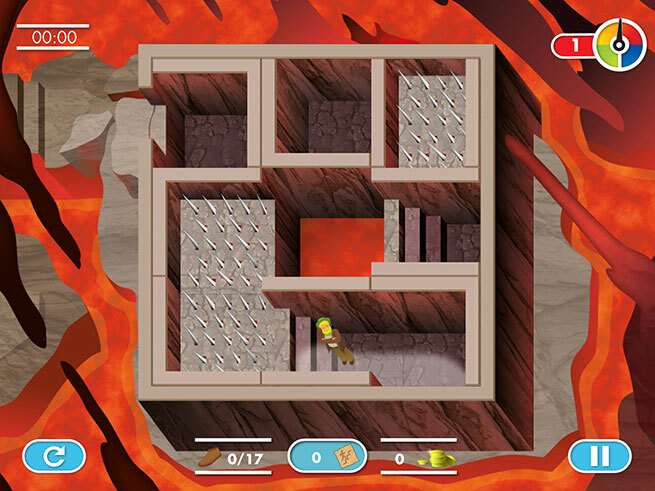 Guide your adventurer through this labyrinth in 4 different levels of difficulty. The object of the game is to safely guide your adventurer through the temple. Each challenge is completed when the adventurer exits the temple via the highlighted path. Slide the puzzle pieces to find a safe path for your adventurer. 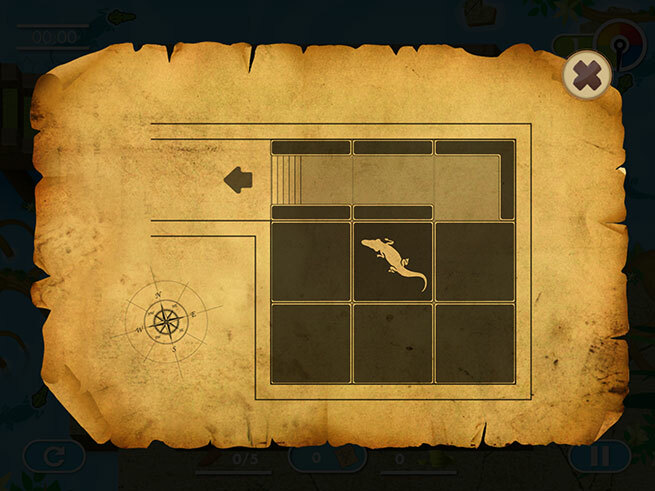 You can move the adventurer by clicking the tile you would like him to go to next. 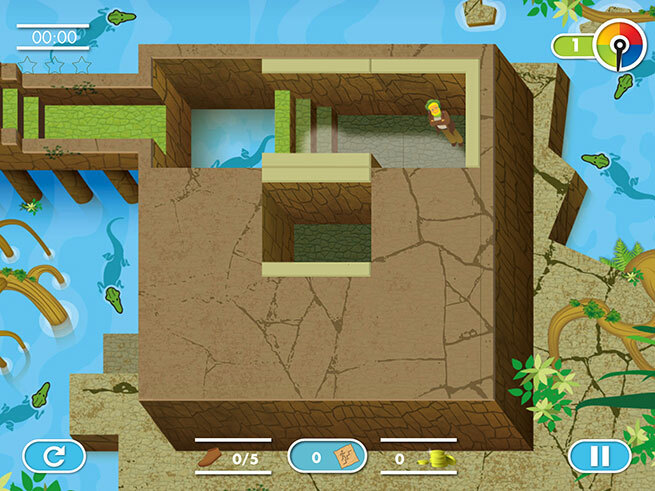 He cannot proceed through water or fire nor can he climb over walls -- valid paths are highlighted in the game. While playing the challenges, you can collect maps to unlock hints, and collect coins to add more time for solving the timer challenges. 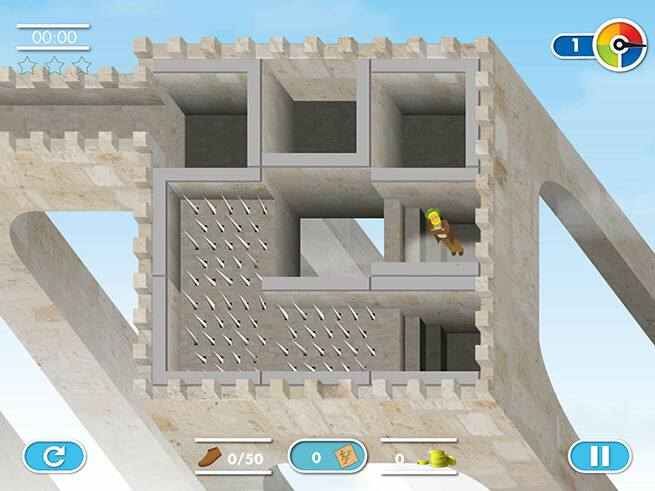 This App is based on the physical logic game "Temple Trap" from SmartGames, and includes 110 new challenges and 4 levels of difficulty. Play 13 free challenges and then upgrade to play all 110 challenges! The original non-digital Temple Trap game was released in 2012 and includes a game board with shifting play pieces and 1 pawn, a challenge booklet with 48 different challenges and solutions. If you like this app, you will love to play Temple Trap in real life too!